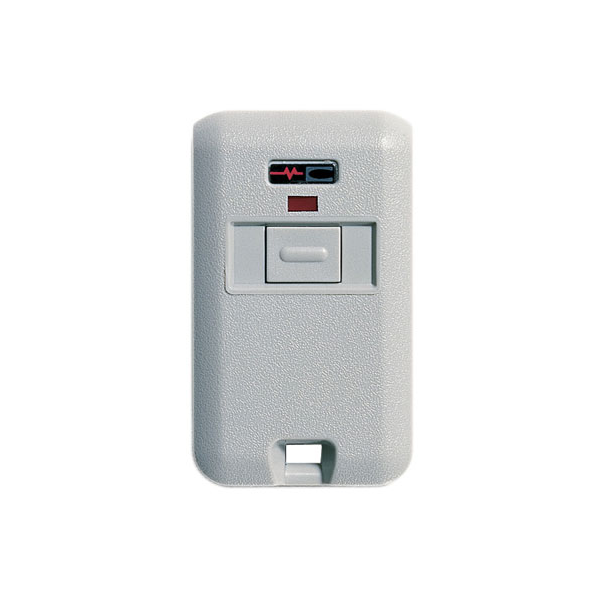 This is a Linear Multi-Code 306010 Single-Channel Key Ring Remote. It is a single-channel device. Pressing the button will send a signal to the receiver. The transmitter has a red test/operate indicator and is powered by a 12-volt battery. A molded-in hole in the case is for attaching the transmitter to a key ring.